Your Mailhub franking machine is capable of operating in various modes. 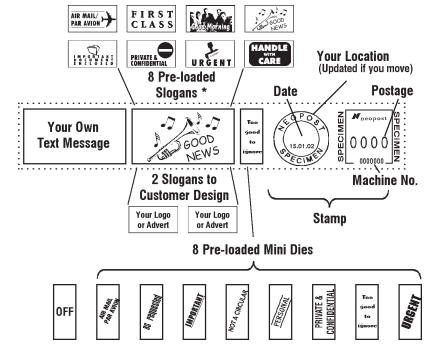 The Mailhub franking machines offers a choice of up to 10 customised slogans. There are currently 8 pre-loaded slogans, as a factory setting, which are over writable. Under normal operating conditions, your Mailhub franking machine will produce excellent quality prints. 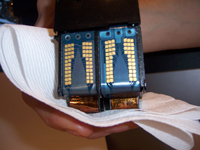 However, if lines are missing from the stamp or the machine has remained unused for several days it will be necessary to clean the print-head or ink cartridge.